Alexander McQueen continues to break expectations and change things up with this pitched sportcoat. 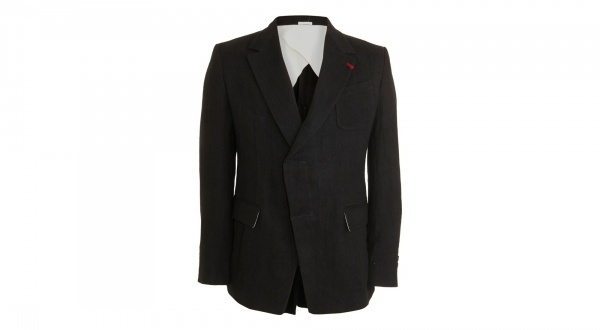 A black cotton piece with a linen liner, the lightweight construction makes it versatile. Meanwhile, the unique peaked lapel and asymmetric design is sure to draw compliments. Available online now.